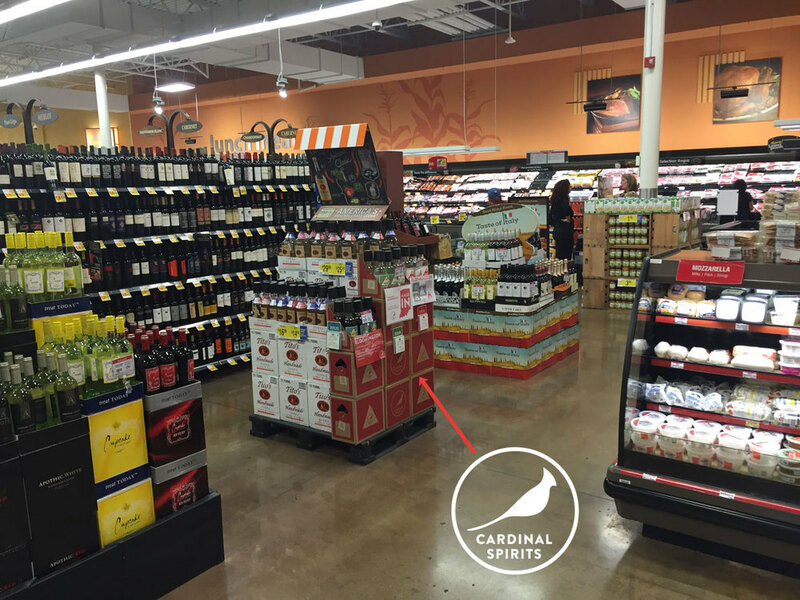 You can now find Cardinal Spirits at several Kroger locations in central Indiana! On the endcap across from the meat and seafood counter. On the endcap next to the cheese section. On the endcap in the wine section. 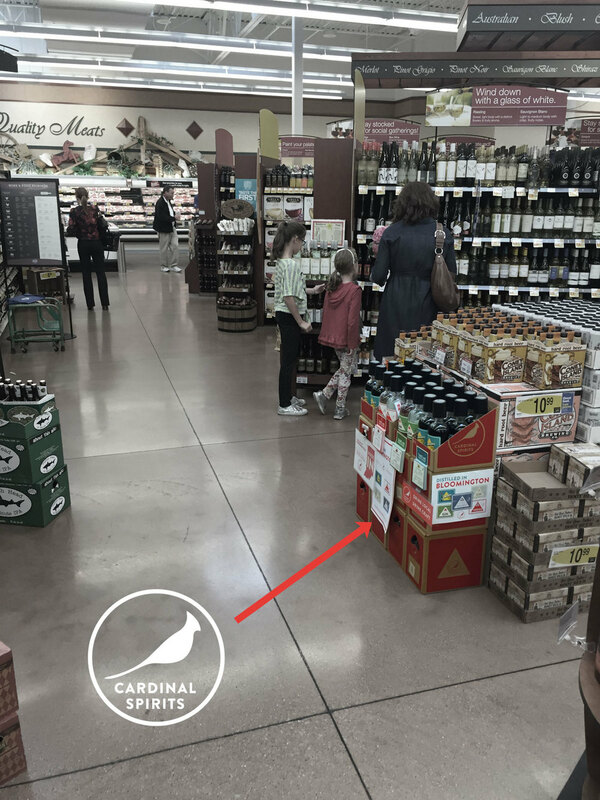 Look for the big red triangle sign above the bottles. On the island with all the "adult" rootbeer in the wine section. Cases stacked on the corner of the wine section. On the endcap near the fine wines.